AFFILIATION: Tribunal Temple. Assigned to House Indoril by adoption. OCCUPATION / DUTY: Healer's apprentice serving in Gnisis temple. Was promoted to temple novice by mehra Ravani Ralvel after a successfull Piligrimage of Seven Graces. 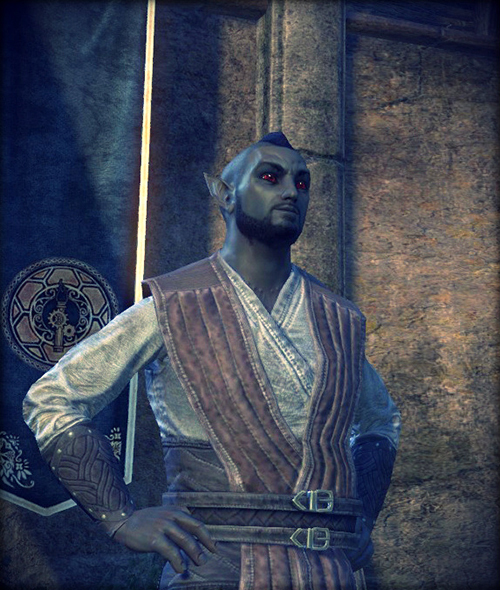 APPEARANCE: A dark-skinned young Dunmer of medium height, with a plump physique. On his torso and arms all the way up to the wrists, a grid of scars is visible, which he received during his tribe’s initiation ritual. Hashib grows a mohawk, trying to imitate Lord Indoril Nerevar, his most beloved Saint, though the mer's round smiley face with protounding ears does not look even a little heroic. His casual clothes are plain, simple, like that of miners or farmers, but always clean and tidy. When going out of town, he arms himself with an ugly axe looking more like a butcher’s tool than a weapon. Born to a small and run-down Urdmaliit tribe living off guar herding, Hashib was destined to become a shepherd. The tribe was constantly harassed by more agressive neighbours, so he practiced with weapons from early childhood, but a timid, clumsy boy did not have talents for fighting. Growing up as a neglected kid, he had no more ambitions than to do what he was ordered and go where his tribe wandered. The young mer does not like to talk about reasons why he left fellow Ashlanders. Seems like there was some conflict in the tribe, after which teenage Hashib, as he says himself, ’ran off, was lost and then found by good folks’. It is known that he appeared in the city of Gnisis at the age of fifteen, all alone and poor as a slave-cat. To make a living, Hashib worked as a cook's assistant in a field kitchen for local miners. Several times he tried to visit a temple but was turned down by clergy being suspicious of a profane savage. 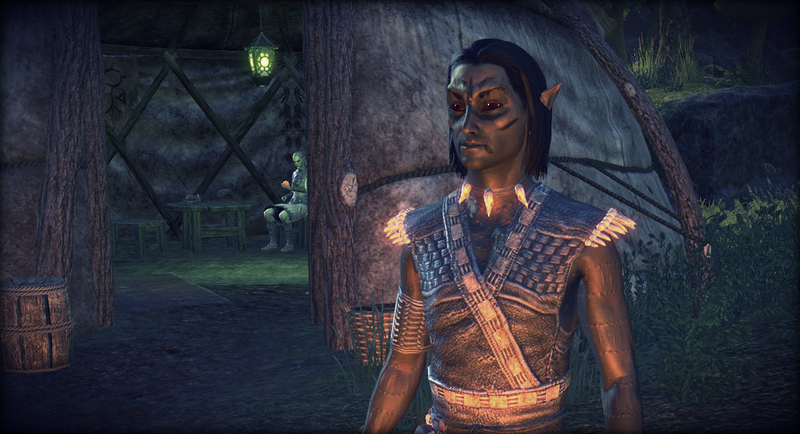 This went on until Hashib’s fateful acquaintance with a new temple adept and healer, Indoril Drel Sandras. 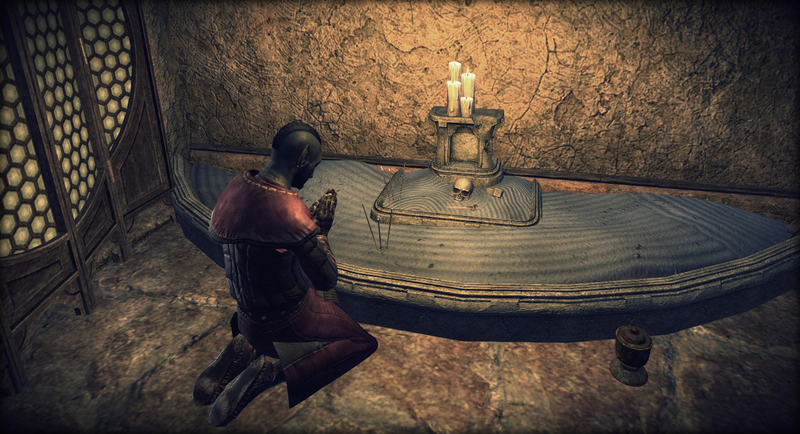 Serjo Sandras recognized the Ashlander’s sincere desire to follow the teachings of ALMSIVI and became his mentor in religious and secular studies alike. Hashib moved to Sandras’ household, working as his personal assistant, and later on was formally adopted, given new family name and incorporated into House Indoril. Currently, Hashib serves in the temple where he managed to earn everyone’s trust. While naive and simple-minded, he actually proved to be well-meaning, compassionate, not afraid of hard work and absolutely devout to True Faith. 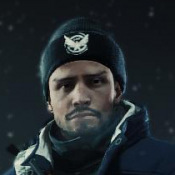 Religion - Hashib’s life goal is to be a good follower of the Three. He will gladly take part in any religious activities that his rank in the Temple allows. 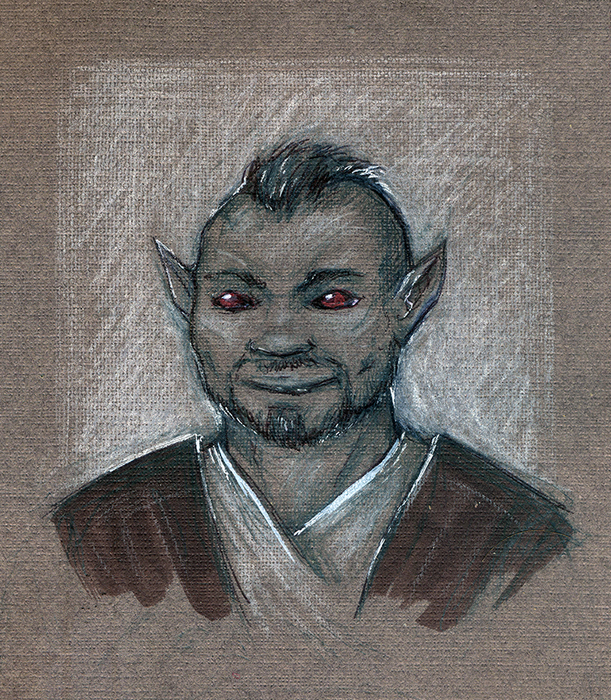 Adventure - Though he is a crappy fighter, Hashib has useful survival and medical experience and knows North West Vvardenfell well, being a nomad for most of his life. If you need a trustworthy companion, he might lend a hand.